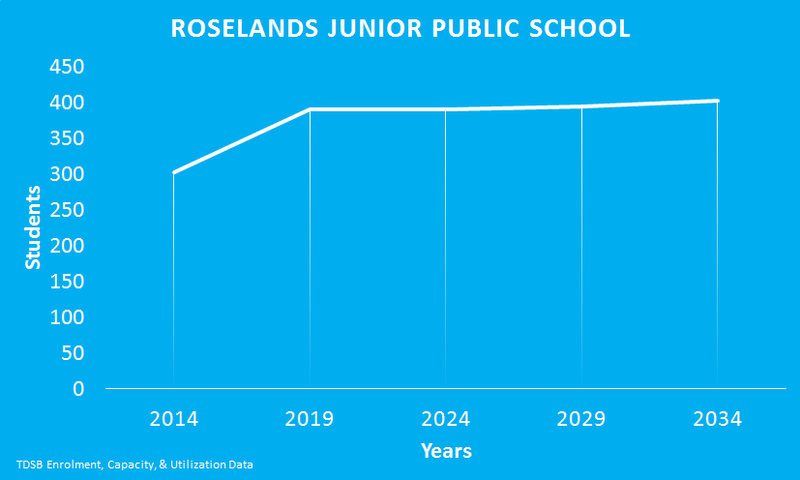 The TDSB projects that Roselands Junior Public School’s enrolment will continue to grow over the next 20 years. In five years the school will be overcapacity. Roselands Junior Public School is part of the Model Schools for Inner Cities Program. The schools also offers an International Languages Program.